Iraqi soldiers have advanced into the main university complex in the city of Mosul as part of a new push against ISIL militants. The army says the militants have been forced to retreat and a key bridge across the Tigris river has been retaken. Seizing back control of the university would be a symbolic victory for the army. Major-General Sami al-Aridhi, commander of the Iraqi counter-terrorism unit, told reporters: “This was an important stronghold for ISIL, knowing that they had their headquarters here. 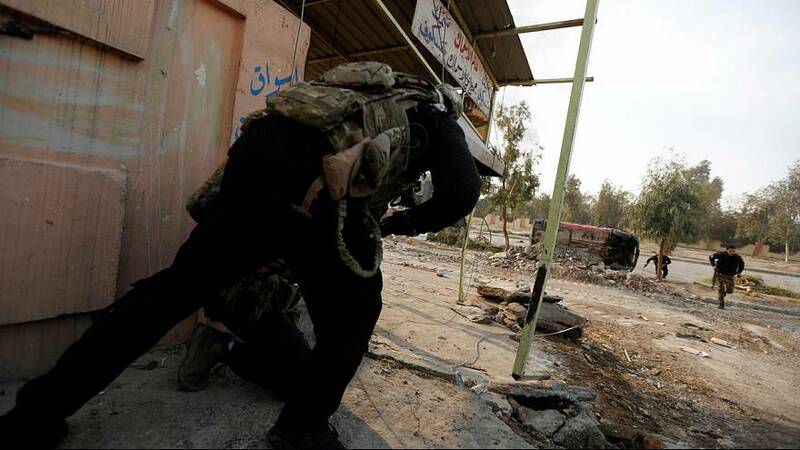 ISIL militants took control of Mosul in 2014, but over the past three months soldiers, backed up by US forces, have recaptured many districts in the east of the city. Attacks against ISIL strongholds in the west are planned once the east is secure, with the operation against the militants gathering pace in recent weeks.